Dr. S.Y. Akorli, a Ghanaian theologian and the founder of Religious Science International, a foundation committed to critical thinking of religion, has cast doubts on the validity of the Bible. Dr. Akorli, who is a Presbyterian, is a product of the University of Leipzig with a doctorate in Theology. He has been gaining increased recognised in the academic circles of Leipzig for his theses on the Bible. As a Christian, his views on the Bible and its events are considered revolutionary. Last year he toured various institutions in Germany lecturing on his perspective of the Bible and Christianity. His monthly seminar has been attracting numerous Europeans who are looking for new forms of religious expression and interpretation. Spotlight (a local media network) talked to Dr. Akorli to gain more insights into his perspective on Christianity. What fascinates Spotlight is that, although Dr. Akorli is a Christian, he holds views, which may be considered anti-christian by conservative Christians. Recently, African scholars who are Christians are becoming critical of their religion. During a recent visit of Archbishop Tutu of South Africa to England, it has been reported that he refused to close his eyes and pray. When asked why he did not close his eyes, he answered somewhat with humour but truthfully that when the whites came to South Africa, they asked the inhabitants to pray with them. The blacks closed their eyes to pray but before they finished the whites had exchanged their Bible for the African gold. Read below the interview with Dr. Akorli and it may give you a different understanding of things. Spotlight (SP): You have described by some conservative Christians as nightmare to Christianity. Do you think it is a fair comment? Dr. Akorli(DA): You know when Martin Luther posted his thesis on the Reformation on the door of the Roman Church, he was driven out of the church. He was called all sorts of names because people did not understand him. Thanks to Martin Luther you and I can now have access to the Bible. Also, when Corpenicus found out that the earth was round, the Church dismissed him because it went contrary to Christian beliefs. But now both the fundamentalist Christians who persecuted Corpenicus are enjoying from the benefits of his discovery. So I am aware that people who are ignorant of my ideas and do not have a deeper meaning of the Bible can call me names. God has given us wisdom and he wants us to use it fruitfully. SP: I have heard that you challenged the authority of the Bible. Is that true? DA: God revealed himself to Israel and their scholars wrote what they considered to be the teachings of God. If you read the Book of Proverbs, it contains very useful wise sayings, which can only be written by an intelligent person. The writers of Bible were inspired just like my grandmother was inspired to educate her children and grandchildren in Akan wise sayings? However, I do know that the Bible contains mistakes. Many Christians make mistakes by thinking that God dictated to the writers what they should write. SP: Christians say the Bible is true and they cite its account of events to prove their point. What do you have against that? DA: As a spiritual document, the Bible is superb. But no serious Christian can take the Bible to be 100% accurate in terms of science, history and geography. Even the Bible's account of the crucifixion, which is so central in Christianity, is not accurate. For example, we read from the Bible that Jesus was crucified between two robbers (Matt 27:38 and Mark 15:27) but we know from historical sources that the Romans did not crucify robbers. Crucifixion was reserved for insurrectionists and rebellious slaves. The gospel writers also mention Jesus talking to his mother and to Peter from the cross, but this run contrary to another historical fact. The Roman soldiers closely guarded the places of execution, and nobody was allowed near, especially friends and family who might attempt to help the condemned person. SP: Do you then believe in the resurrection Jesus? DA: I believe in the spiritual resurrection but not in a physical resurrection of Jesus. The idea of a physical resurrection held by many Christians is not Biblical. First, even the Bible itself says that God does not need the flesh for anything. Second, the account of the physical resurrection as reported in the Bible is not credible. Who found the empty tomb? The gospel writers disagree on that. Matthew (28:1) says it was only Mary Magdalene and the other Mary (Matt 28:1), Mark (16:1) claims it was Mary Magdalene, Mary the mother of James and Salome and John (20:1-4) says Mary Magdalene went to the tomb alone, saw the stone removed, ran to find Peter, and returned to the tomb with Peter and another. The Bible is also not consistent about who was found in the tomb. According to Matthew (28:2-4), an angel of the Lord with an appearance like lightning was sitting on the stone that had been rolled away. Also present were the guards that Pilate had contributed. According to Mark 16:5, a young man in a white robe was sitting inside the tomb. According to Luke 24:4, two men in dazzling apparel. And according to John 20:4-14, Mary and Peter and the other disciple initially find just an empty tomb. Even the Bible does not agree on the ascension of Jesus. According to Luke 24:51, Jesus' ascension took place in Bethany, on the same day as his resurrection whereas Acts (1:9-12) says that Jesus' ascension took place at Mount Olivet, forty days after his resurrection. SP: What do you say about how the Bible was compiled? DA: That is a very good question. The majority of Christians (about 99.9%) are not aware of the process by which the books of the Bible were canonised. The Septuagint was the first translation of the Hebrew scriptures. Sometime in the reign of Ptolemy Philadelphus (284 BC - 246 BC), a group of 72 elders met to translate the Bible into Greek for the Jews of Alexandria. Unfortunately, there was some doubt as to precisely which books, among those available, were actually inspired. Many books were simply left out. 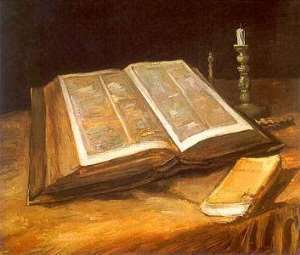 When the final list was compiled, it contained all of the books Protestants consider part of the Old Testament and nine other books called the Apocrypha, included in the Catholic scriptures. This was the version that was quoted word for word by Jesus and the New Testament authors. So you know Jesus even used the incomplete version of the Bible. In 93AD, at the Council of Jamnia, a group of Rabbis finally decided on the 39 books of the Old Testament as currently accepted by most Christians, but this group should have had no authority with Christians. It was not until the Lutheran document "De Connonicus Scripturis Libellus" in 1520, that these books ceased to be accepted by Christians. Between 140 A.D. and 367 A.D. there were many lists of Canonical Christian Books issued by various Churches. The first was issued in 140 A.D. in response to the Gnostic Marcion who had advocated the abandonment of the Old Testament and the acceptance only the Gospel of Luke and the letters of Paul. The church in Rome authorised its own canon list, which was very different from the version we have today. It omitted Hebrews, James, 2 Peter and 3 John. The Apocalypse of Peter was included. Origen, Eusebius, Tertullian and Cyril all took steps at making a list. They include such books as the letter of Barnabas, the teachings of the Apostles, I Clement and The Shepherd of Hermas, which even teaches baptism for the dead. It is not until 367 A.D in the 37th Easter letter of Athanasius, that we have any canonical list of all the books currently included in the New Testament. Of course, I suppose the fundamentalist Christians could say that God used Athanasius to set things right. The last prophet to the fundamentalist Christians, becomes Athanasius. This of course presents certain problems of its own. Athanasius was a Neo-Platonist Christian who believed that grace was transmitted through the sacraments not faith alone. He accepted the concept of priesthood as taught in the Roman Catholic Church. He put the book of revelation at the end because it was doubtful. If you want to believe the Bible, you must first know how it was written or compiled. SP: Do you believe there are some saints who are not Christians? DA: Of course! If you want to know saints, don't turn to the Bible, at least, not the Old Testament. You better go to my village and you will meet people who live honest, fair, and saintly lives. The Old Testament describes Noah as a drunken man who collapses naked in his tent and his son Ham sees him in his nakedness. In stead of Noah felling ashamed of his unfatherly behaviour, he curses his Ham and all his descendants. What is funny is that we read that God finds his righteous and saves him. I bet in my village all the people will then be saved. Look at the story of Moses who commands the Israelites to slay all the Midianites and steal their cattle and take their virgin women as booty, keeping them for themselves! (Num. 31:1- 9). Moses commands the Israelites to keep the best meat for themselves and can give the rotting flesh to foreigners. (Deut. 14:21). This is the Moses who is the chosen prophet of God. I am certain that if you go my village and talk to non-Christians, they will even find this behaviour ungodly. We certainly need to give new interpretation to the bible unless they lose their meaning and relevance in today's world.